Made in the Netherlands, LifeHammer® allows people to escape from being trapped in vehicles by cutting jammed seat belts and breaking car windows. 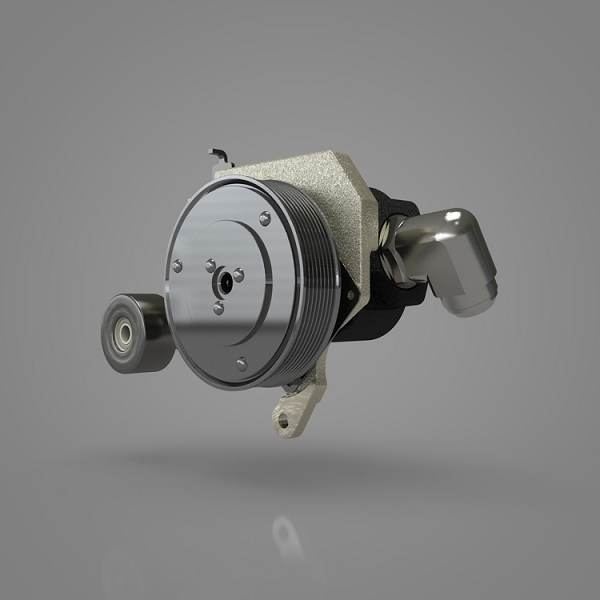 With 25 years of experience, LifeHammer® is manufactured with the highest quality materials. It is certified by the German test lab (TUV) and has been tested and approved by many public safety organizations worldwide. 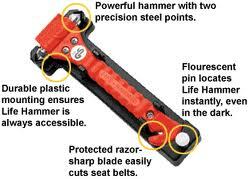 LifeHammer® provides real peace of mind to every motorist. 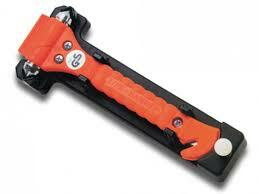 The LifeHammer® is the original safety hammer from Europe, made with the highest quality material. The trademark "LifeHammer" has a strong brand recognition, image and awareness. Featured numerous times on TV shows, such as Doctor OZ, The Mythbusters, the Today Show, just to name a few LifeHammer® is an innovative response to the growing demand for safety and offers real peace of mind to motorists. You can never be too prepared for the unexpected. Protect yourself and your loved ones with LifeHammer®, the original "Gift For Life".